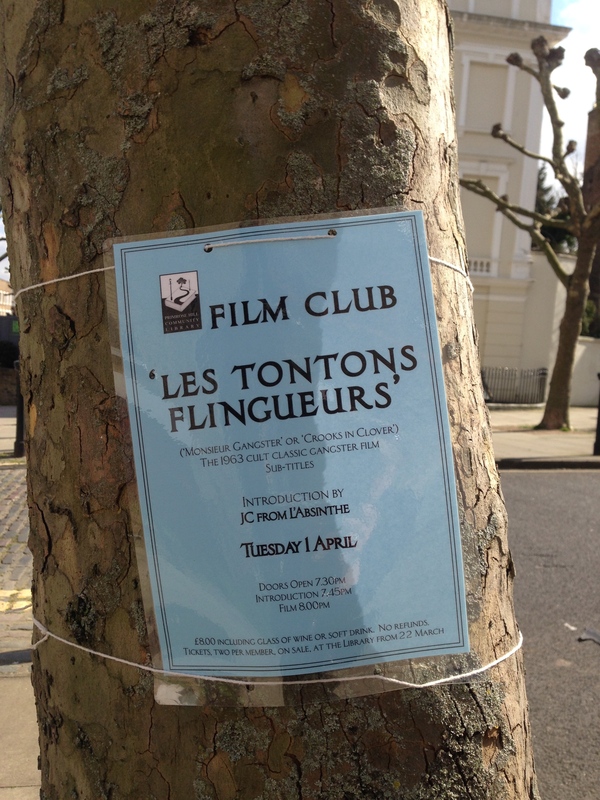 The Introduction is at 7.45pm, with the film at 8.00pm, at Primrose Hill Community Library. Doors open at 7.30pm. “The subversive humour and razor-sharp dialogue of the crime comedies Georges Lautner directed in the 1960s was often lost in translation, but in his native France they enjoyed a popularity comparable to the Ealing comedies in Britain. Les Tontons Flingueurs (known as Crooks In Clover or Monsieur Gangster,1963) outshone them all and grew from attracting half a million Parisian cinema-goers in its first six months into a cross-generational cult movie. It has become a cornerstone of French popular culture, spawning books and references galore on websites and in everyday parlance. However, I’m sorry to say that the Library also says ‘SOLD OUT’, so if you didn’t get a ticket this time, better be faster out of the traps next time. THE PRIMROSE HILL INTERVIEW: NATALIE ALLEN OF SWEET THINGS.